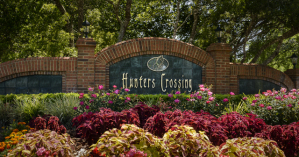 Find the perfect Gainesville apartment for you! Archer Road is a common area in Gainesville known by students, professionals and everyone who lives in Gainesville. Full of shopping, restaurants and yep, you guessed it, apartments. This is one of the larger student living areas in Gainesville. What is probably the busiest intersection in town, Archer Road and 34th Street is typically packed full of traffic at any time of day. Living in an apartment near Archer Road can be very convenient. Aside from the great apartments in this area as seen below, you are walking distance to Butler Plaza from many of the apartments. On the south side of Archer Road, you have UF Health and the VA hospital. In the Butler Plaza area, there are 100′s of stores, places to eat and plenty to keep you occupied. You can use the map a couple different ways or hide it completely. You can zoom in and view apartments via map view and get quick info on rent and deposit. Alternatively, you can hover over the listings below and it will highlight the location on the map. As you scroll, we conveniently keep the map located at the top of the screen for your reference unless hidden.